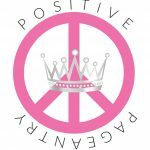 Nationwide Pageants is a proud supporter of the Positive Pageantry movement! Our National Director is honored to be a Official Board Member for Positive Pageantry! I pledge to engage in a positive and respectful way with everyone I interact with. empowering them to fulfill their goals. being bullied and belittled. I will be the difference. I believe that conflict resolution consists of open communication conducted in private with the parties involved. I don’t believe in social media rants, or online drama. I will use my title/position to benefit others, serving and volunteering to make my community a better place. I will be a role model, paving a better future for tomorrow’s leaders, by being a leader today and every day. accomplishments of all young women despite what crown they wear. We, the undersigned, involved with various Pageant systems across the globe, believe in Positive Pageantry. We have taken the pledge and stand strong with the Positive Pageantry Movement! Take the pledge and stand with us. Yes, I agree to the Positive Pageantry Pledge!